Talk to experts, other farmers and people you trust. Good advice and support can make all the difference because 'she'll be right' does not work when it comes to finances. What do successful farmers advise? We talked to farmers. When it comes to seeking business advice and assistance, here is what they recommend. How can support people help me? Support people can provide an experienced, unbiased perspective and help you understand and plan how to guide your business to your picture of success. Connecting you with their, and other, networks. Because when you’re head down in the day-to-day running of your business, it can be hard to see things with fresh eyes. How do I set up an advisory team? A huge amount of support available in the dairy industry, but how do you go about setting up a team who can support and advise you? Find out how to bring together an advisory team for your business. Complementary roles - typically, an advisory team includes all the farm’s partners or owners; a Chartered Accountant, farm management consultant and a financial advisor or banker. At times, specialists like lawyers and technical experts may need to be brought in. It’s important everyone clearly understands their role. Location - select a meeting place offering enough space for everyone to fit into comfortably that’s easy to access and distraction-free. This may or may not be on-farm. Frequency - meet regularly and on time. Meetings should be scheduled as often as required to monitor the progress toward farm business goals. Typically, this is quarterly or in line with key times on the farming calendar. Formality and structure - correctly documenting and organising meetings by setting dates in advance, creating an agenda and circulating notes helps keep everyone accountable and maximise the value of your meetings. Borrowing can be a major expense for an agribusiness; you should be prepared to invest time and effort into ensuring you achieve the best possible arrangements to suit your needs and circumstances. Understanding borrowing money costs and the impact on your business and personal finances will give you peace of mind. Agribusinesses can borrow money from a number of different sources. Some lending institutions specialise in certain types of loans, while some provide a range of financial services in addition to lending money. With rural lenders or banks, there are three key sets of criteria banks will look at when assessing whether to lend to you or not. Understanding your business - balance sheet, business structures. By understanding how a financier will assess you and your business, you will be more confident to have open and constructive discussions with them and develop a positive relationship with them. This is important, because lending institutions want to have confidence in the people and businesses they do business with. It’s important to have a great consultant on the team. Here are some attributes to look for. Integrity and a good reputation - trust, confidentiality and honesty are key characteristics for any relationship. Technical knowledge across the farm system - look at the consultant’s qualifications, work references, farmer client references, accreditation, and training. Willingness to work with a wider team and the openness/humility to ask others for help when necessary. Empathy - understands not only farming but also farmers and rural communities. Personal skills - an ability to listen well and consider what you’re saying before offering a solution. Having a natural rapport with your consultant will help foster a good working relationship. Willingness to express their viewpoint - a good advisor will consider options and provide you with an objective opinion on your business and ways to improve. In addition to having an advisory team, connect with other farmers for advice and support. Seek advice from others who share the same challenges. Think about people you can relate to and trust. Sometimes only other rural people who share the same challenges can fully understand that aspects of running a farm business, are not like running other businesses. In the dairy industry, we are fortunate to have a number of industry groups and farmer networks who offer support through Dairy Connect. If you’re thinking of trying something new on-farm, or facing challenges and would like to talk to someone with experience, signup today and you will put in touch with a support farmer who best suits your situation. This free service is available to all farmers; owners, sharemilkers, managers, contract milkers, and farm assistants. 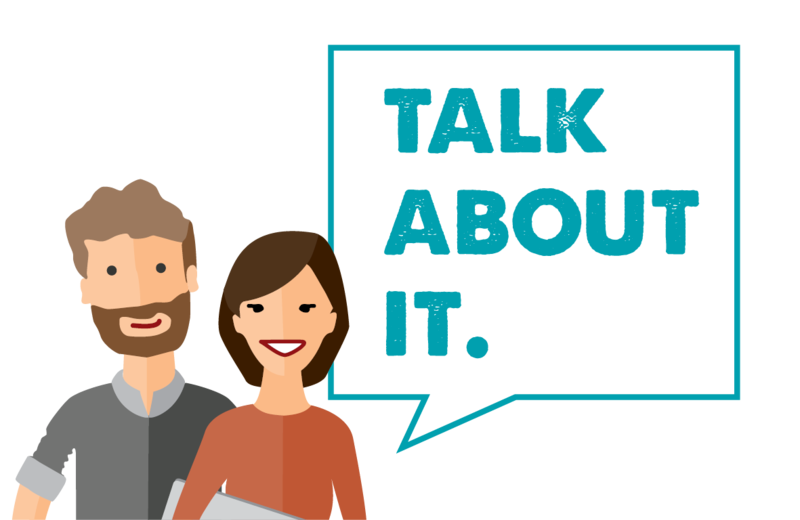 Attending and contributing to your local discussion group is another great way to connect, learn and get advice and support. How and how often you communicate with your farm team and stakeholders will vary from farm to farm. Open communication benefits you, your business, farm team, and stakeholders. Set up regular meetings or phone calls to share key information (e.g. cash management programmes, budgets, production reports). Provides a sense of ownership - get the farm team's ideas. Profitable farmers are often lifelong learners. Top farmers value learning and attend conferences, short-courses, discussion groups, seminars and invest in their future by undertaking formal training. Many industry groups and service or support organisations offer seminars, workshops, and short-courses to help you grow your business management skills. Not sure what you need to know, do, or how to gain those skills? Use the Dairy Industry Standard Roles to help identify learning opportunities. What decisions can accountants help with? Find out how can you get the most out of your chartered accountant relationship. Have you thought about who’ll be on your advisory team in the coming season? Or how to get the most from your team? As the low milk price continues to bite, record numbers of dairy farmers are putting their hand up to support others as part of DairyNZ’s Dairy Connect service. The dairy industry is full of people willing to share good advice, says Waikato dairy farmer Roger Duff. Meeting the bank manager - are you prepared? A good farmer-banker relationship has never been more important. DairyNZ senior developer for people and business, Carolyn Bushell provides advice on how to get the most out of meeting with the bank. In this video Greg and Rachel talk about involving staff in financial management. "We’d always kept everything close to our chest. We realised that to make changes, other people would need to see into our business so they could offer advice and ideas." Who can support and advise me?